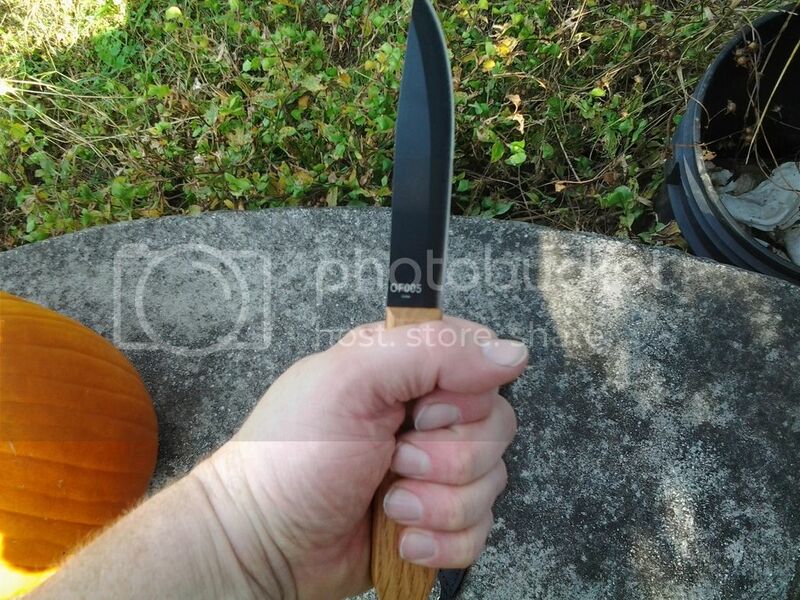 Now this is new to me, it is a half tang, I suppose, and I can imagine it is about as thick as the blade, I hope it is sturdy, never seen one so exposed before. I would still use it for most small camp tasks. As always, questions and comments are welcome! Happy Rangering! "Well, what are you waiting for? I am an old man, and have no time for your falter! Come at me, if you will, for I do not sing songs of dastards!" For the money, that really can't be beat. 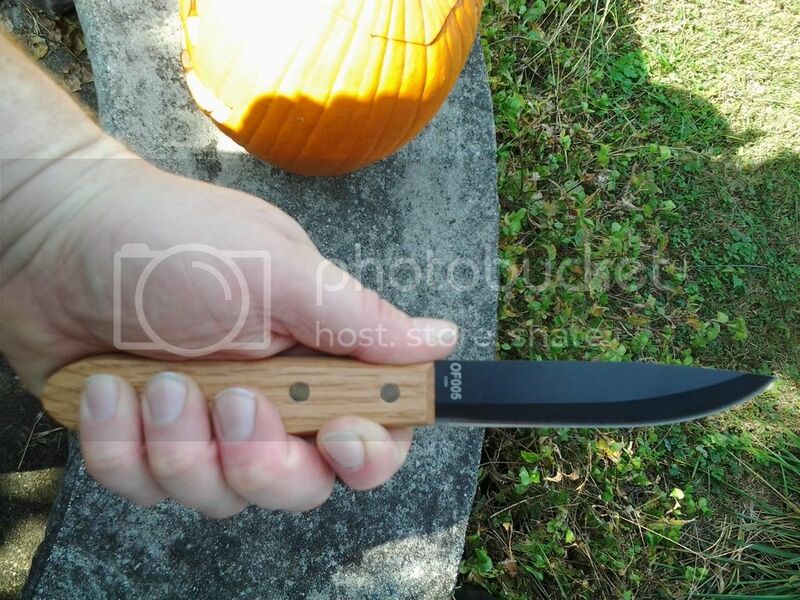 The popular cold steel seax conversion project that was all-the-rage a few years back on this forum could be applied to that and make a very nice looking, functional knife for our purposes. Cool find, Ken; thanks for sharing! Interesting - I can't wait to see what you do with it. Will you be polishing off the blackening/modern numbers or leaving it be? edit - that half-tang style was very common in 18th-19th c. knives, although the wide rivets are a late 19th-early 20th c. innovation IIRC. No technical reason they couldn't have been made earlier I think: it just wasn't done historically. Ken Hamilton still puts out some amazing 18th c. replicas, though they're understandably not cheap. The details are different - but in broad form they're very similar to what you have there! A: A modern (ish) Old Hickory "slicer" knife, from my parent's kitchen c. 1980. 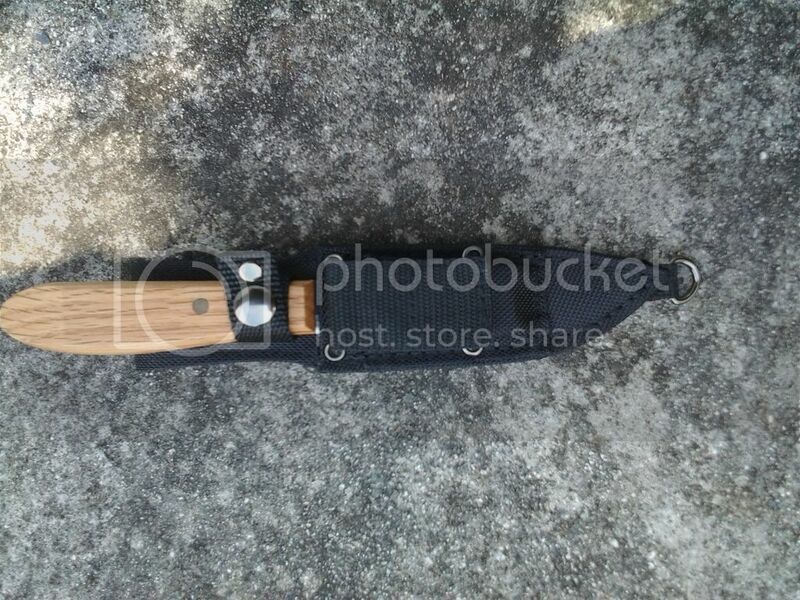 This may have been a "Sting" or "Legolas' long knife" at some point, but don't tell Mom if it was. B: A kitchen knife copied from an English sample and sold from Avalon Forge: they come pretty nasty looking with IIRC a painted handle and shiny stainless-looking blade, but they wear in alright. The pins are I think aluminum or something instead of the historically correct iron, but I've never bothered replacing them. C. Ken Hamilton made English trade knife with period trade marks c. 1770. I assume he's still making them: I purchased this right before leaving 18th c. stuff, so it's not had much use at all. 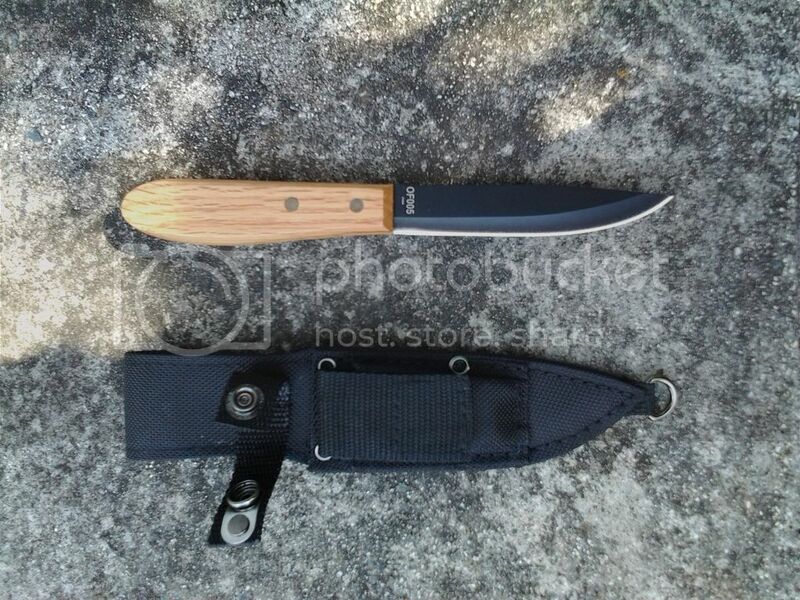 It was around $100-ish with sheath if I recall correctly. Elleth wrote: Interesting - I can't wait to see what you do with it. Will you be polishing off the blackening/modern numbers or leaving it be? This is what I love about the forum, you learn something every day Elleth, I love blackened blades, but yes do want to get rid of the logos, I will have to see what I can do. I am glad it fits somewhat into our M-E timeline, perhaps from Bree? It's *possible* rubbing alcohol or nail polish remover will take off the markings without damaging the blackening, but I'd not count on it. I think if I were in your shoes I'd be tempted to either cover or replace the wide rivets, but you certainly don't have to. 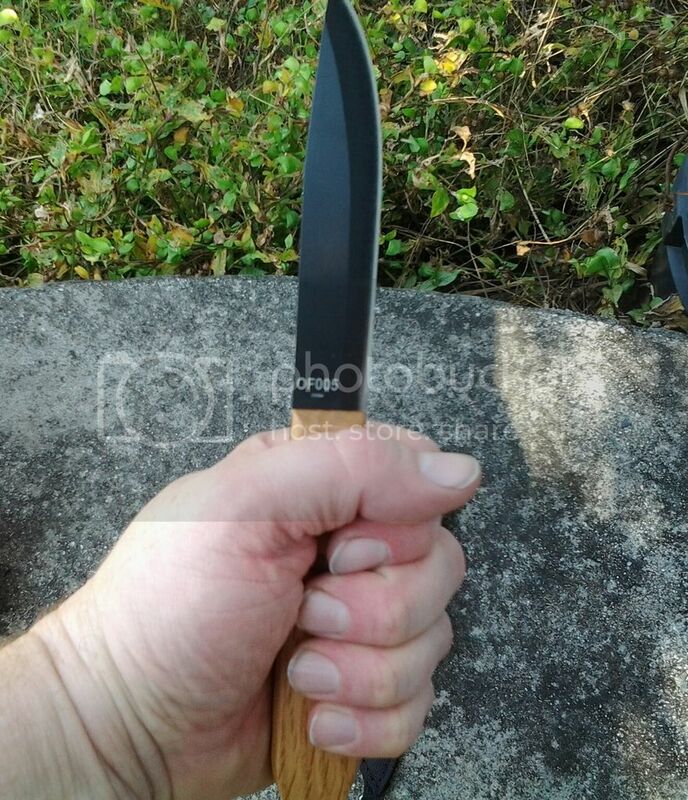 The half-tang knives like mine above were I think a relatively down-market pre-industrial / early industrial era factory model by and large, but that's not my expertise. Ken Hamilton - and I bet our own Le-Loup - would know more there. edit - I see Le-Loup does indeed have quite a bit on it! Pins were used both for structural reasons (not having nice modern expoxies) - and decoration. 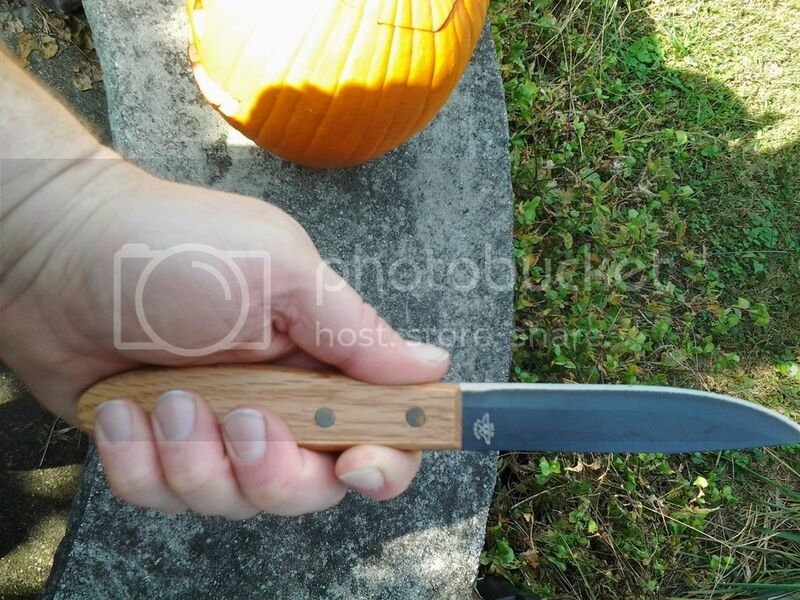 There's some extant knives with fairly elaborate designs set in with pins. Tod's Stuff does some quite nice bespoke work - I've never seen them in real life, but he seems quite highly thought of. For those with a more modest budget, Marshal Historical has some decent-enough looking pieces - I purchased a few for kitchen demos ages ago. They're decent enough for a faire demo or SCA feast, but you get what you pay for. They're plainly stamped out of sheet steel - and who knows what steel at that. While I'm sure lots of people through history have done quite well with much worse, I'd not suggest them as rugged outdoorsy tools. Can you tell I've sewn a lot of sheaths for people over the years? One more thing - here's the Marshal Historical knives: probably 14th-15th c. designs, more or less. The sheaths come as raw undecorated tooling leather: it's up to you to scratch in any designs and dye/wax/oil/whatever you want to do. Lots of medieval sheaths were pretty crudely decorated, presumably I think by their end users. Again, these aren't great - but they're decent enough for little they're asking (20 Euros each). 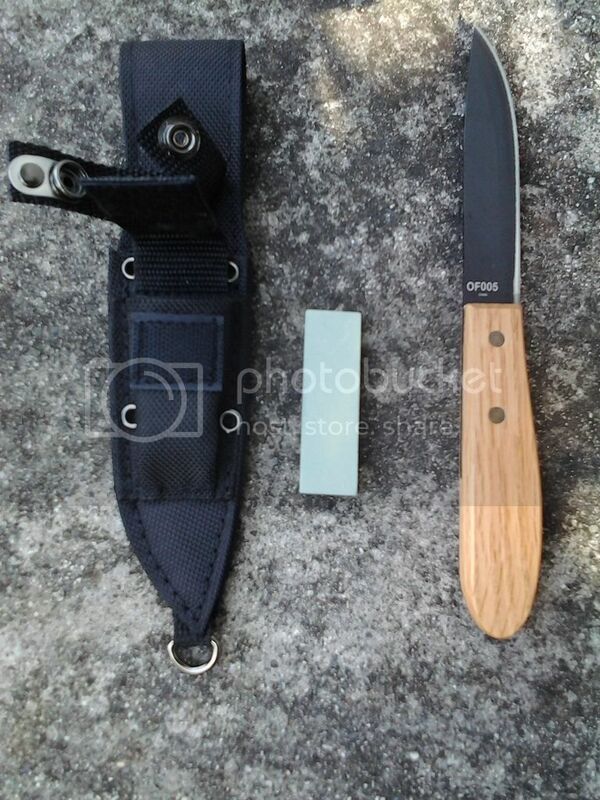 Ah, I always love knife and sheath pics, so many ideas! Thanks Elleth! 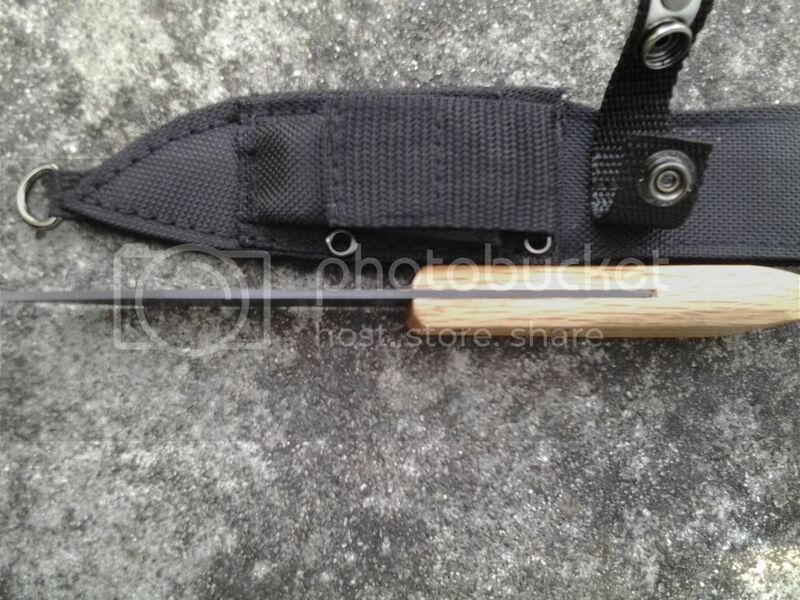 On the subject of riveted full-tang knives, of the sort which one might use in the wild woods, there are a few Northern European seaxes that have such a construction.